The Personal Finance Dashboard sample demonstrates the chart controls from the Ignite UI library acting together with grids, combo boxes and editors in a complex application. The sample is designed with mobile tablet devices in mind taking into account screen size and performance. 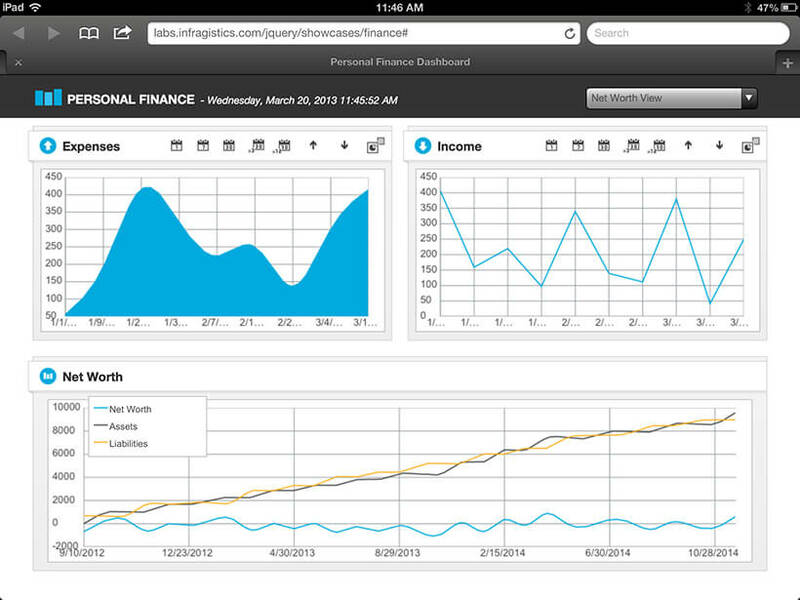 The view displays several aspects of personal finances in graphic and tabular form separated into panels. It shows selecting different periods of time changes the data behind a chart and how to dynamically change the data series rendered by a chart.